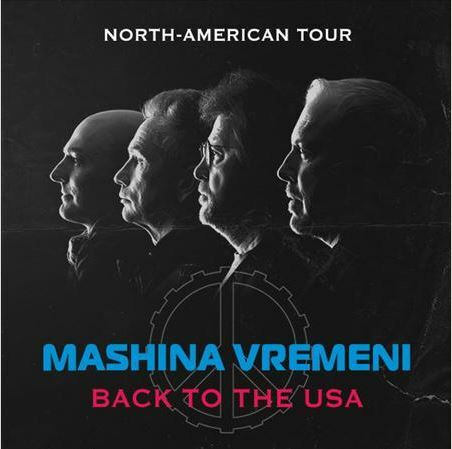 After their sold-out North-American tour in 2010, Russia's legendary rock-and-roll band the "Time Machine" is finally back to the USA. This iconic group was founded by the songwriter and guitarist, Andrey Makarevich in the late 1960s and joined later by his colleagues and friends, Alexander Kutikov and Valery Efremov, who are still performing with the band. It is recognized as a "patriarch" of Russian rock music and achieved the cult status among several generations in the former Soviet Union. While originally the band drew their inspiration from The Beatles, Mashina Vremeni has developed a unique voice throughout the years, often changing its style, but most of the charm of their songs is in the melody and meaningful lyrics. The group created numerous classic hit songs that became a pop-culture phenomenon for anyone of the Russian descent. Many of their songs have found their way into Soviet movie hits, as well as popular theatrical plays.